Arliss Dickerson writes about the importance of following up on first-time visitors to your ministry. Follow-up? This is obviously a blog that was supposed to post in August and didn’t….right? Nope. Good follow-up is for every season. College ministers are super conscious of follow-up of new people during the all-important first three weeks of school. But I think we sometimes become sloppy about it later in the semester. We are emerged in just keeping things going and meeting with all the students we need to every week. And, if someone shows up now, it really means they are interested and will connect on their own. Plus, all those who are involved will see them and connect with them, right? Maybe. I do believe that if a student comes later in the semester it means they have a genuine interest, have recognized the need in their life, or one of your regulars has invested in them and brought them. But to assume they will automatically feel welcome and get connected is a false assumption. 1. They need to hear from a staffer. 2. They need to hear from a student. 3. They need to hear from someone within 24 hours. Why a staffer? They may have come out of a very real and recognized need in their life that a staffer can likely speak into better than a fellow student. I’ve learned that students sometimes get sidetracked and don’t make that follow-up connection immediately like they meant to. So if a staffer is making a connection, why should a student do it also? Sometimes, the perception is that a staffer gets paid to do it and that if a student does it, it means more to the new person. Some feel a follow-up connection by a student expresses a more genuine interest in them, not just someone doing their job. So you need to make sure a dependable student gets their name and contact info immediately. 1. Text: They get it immediately and it is personal. 2. Facebook: I read lots of articles that say students don’t do Facebook anymore. Most students I’ve dealt with don’t seem to read those articles and don’t realize that. 3. Phone call: This is my third preference because many students don’t answer a call from a number they don’t recognize. If they do answer, it is very personal and you can answer any question they might have immediately. Schedule a time for follow-up. I blocked time after our outreach lunch program to try and connect with students who had come that day for the first time. Friday mornings were for following up on visitors to our Thursday night event. Follow-up on the follow-up: Often, when I make that first connection, I will say, “Let me buy you a coke* some time and we can talk more.” If they say yes, I try to schedule it right then. For others, I wait to schedule a follow-up meeting until after they visit the second time. *I know you will say coffee, but I hate coffee. The last time I drank coffee was when a significant donor insisted. It was worth it! So, how are YOU doing follow-up now? An earlier version of this article appeared on Arliss’s site where you can find lots of wisdom about campus ministry and leadership. 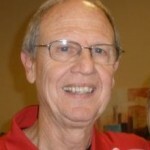 Arliss was the Baptist Campus Minister at Arkansas State University for 32 years and currently serves as a collegiate ministry consultant for LifeWay Christian Resources.